I have a question concerning playing music on Shabbat. My uncle is a wonderful guitar player and singer. He writes many songs and aspires to share his music with the world one day. On a recent Shabbat, we were at a friend’s house where many people were singing. I asked him to play, but he declined, saying it was against Jewish law. I feel this may be stretching the restrictions. 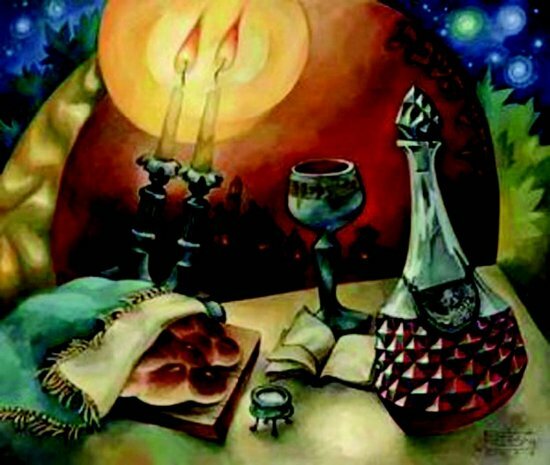 For me, I believe that Shabbat is a time to share joy with family and friends. Music is a wonderful way to do this. I am not seeking to criticize my uncle. I just want to get a better grasp on the concepts, so that I can discuss this point with him in a more educated manner. I’m copying the Rabbi’s entire response here so you get the full experience of his words. I’ll italicize the quote to make it more readable rather than putting it between “blockquote” tags. Also, as I write this, the Aish website seems to default to “mobile=yes”, so if you’re not on a smartphone or tablet and click the link I provided, the text on their web page will look a little odd. I appreciate the sincerity of your question. Of course there are many beautiful aspects of Shabbat — the candles, the challah, the wine, and the opportunity for family and friends to be together. Yet these aesthetic elements must not obscure the essence of Shabbat. It is a commemoration of the Creation of the world. Since God created the world in six days and rested on the seventh, in our effort to emulate God we likewise work for six days and rest on the seventh. The Talmud (Shabbat 73a) describes 39 categories of “creative acts” which we refrain from on Shabbat. These are the 39 powers of creation that exist in the world, corresponding to those acts performed by God (so to speak) in creating the world. Just as God refrained from creative activity on the seventh day, we do likewise. And when we refrain from that which is prohibited on Shabbat, we are, in the truest sense, being God-like. The job of protecting the Shabbat (as well as other mitzvot) was entrusted to the wisest and most dedicated leaders of the Jewish people, the members of the Sanhedrin. These leaders made certain enactments to protect the uniqueness of the Shabbat experience. One enactment is to not play a musical instrument on Shabbat. This is due to a concern that playing an instrument on Shabbat could lead to fixing an instrument in a way that infringes on one of the 39 types of activity. If these laws are not respected, then the Shabbat experience is ultimately diminished. And since Shabbat is a cornerstone of Jewish life, this measure was taken to ensure that observance of Shabbat is maintained for all. Further, the enactment was approved and accepted by the entire Jewish nation. Further, the Sages made no distinction between string and wind instruments. Frequently the Sages will enact a decree that way, because otherwise many people would get confused about what is permitted and what is not. Music that involves only the body — e.g. singing and whistling — are permitted on Shabbat. All instruments are not. Week after week, the non-Jewish shepherds would hear this song wafting over the country plain. They would stop their work to listen attentively, and many would even walk to the synagogue to hear the rabbi sing. When the rabbi died, the congregation felt a rupture in their hearts. All week long they mourned, but on Shabbat, which is a time for happiness, they tried to restrain themselves. Yet the cantor, when he reached the “Nishmat” prayer, stopped to swallow a tear. Indeed, music is a great part of Shabbat. That’s why there is a rich heritage of Jewish melodies which add to the Shabbat atmosphere. Many of these songs are printed in the standard Siddur. So while you may miss your uncle’s guitar playing one day a week, remember that he is keeping the Shabbat experience fully alive, as Jews have done, for thousands of years. 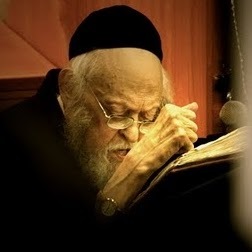 I don’t know how to access “Tales of the Chassidic Soul,” but if the story shared by the Aish Rabbi is any indication, it must be a wonderful work and I’d love to get a hold of a copy (Googling and searching Amazon produced nothing). The effect of Rabbi Tzvi Elimelech singing the Nishmat prayer on the non-Jewish shepherds is, I believe, the exact response many Christians have when hearing the Hebrew prayers, and certainly it speaks to my soul. I remember the first time I visited Beth Immanuel Sabbath Fellowship during their annual Shavuot conference. I arrived early for the event one morning and heard from the rooms in the back, beautiful Hebrew singing. I felt myself drawn to the voices and realized that the men were davening the Shacharit or “morning prayers” in one of the upstairs rooms. I found myself standing beneath the room just listening, not understanding the language, but letting the prayers wash over my spirit. In some ways, it was the highlight of my entire Shavuot celebration that year. That’s what I’m hoping will happen in some small measure as I attempt to observe a proper Shabbat. As I’ve said elsewhere, I have no command of the Hebrew and I sing like a frog, so I can’t produce anything like the same result as that one morning in Hudson, Wisconsin, but in the absence of any talent on my part, I’m hoping God will fill what is missing inside of me, even as the singing of Rabbi Elimelech filled something inside the shepherds toiling outside the synagogue in Dinov. The soul of every living being shall bless Your Name, Hashem our God, the spirit of all flesh shall always glorify and exalt Your remembrance, our King. Oh wow! Thanks for the link, Yahnatan. Looks like a very interesting resource. I’ll have to partake when I’ve got some “alone time”.